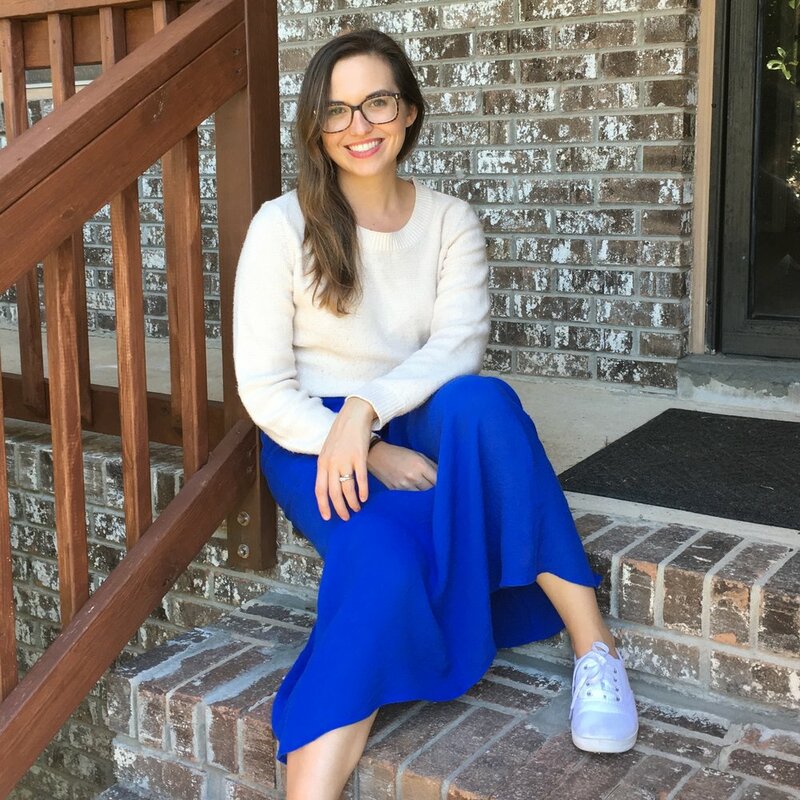 Rachael Hartley, a Registered Dietitian (RD) Nutritionist based in Columbia, South Carolina, launched her private practice in 2014 and runs a successful food & wellness blog. Hi there! I’m Rachael, a dietitian and nutrition therapist who really, really, really loves food. I eat all foods with no food rules, and want to teach you to do the same. As a certified intuitive eating counselor, I am fiercely passionate about helping others ditch the diet rules and rediscover the joy of eating. My goal is to help my clients and readers improve their physical and mental health with eating habits rooted in self care. Like most dietitians, I used to think nutrition was all about “eating less” and “eating right.” Those beliefs led me down a path where food and eating became stressful and complicated. As I started working with clients, I quickly realized my approach wasn’t helping people improve their health the way the textbooks taught me it should. Thankfully, with my background in psychology, I quickly realized that food is so much more than fuel, and that rules, guidelines and rigidity weren’t the answer. I realized the real key to health and wellness was dropping the obsession with the number on a scale, nurturing a healthy relationship with food, and making food choices from a place of nourishment and pleasure, not deprivation. I learned everything I could about intuitive eating, mindful eating, and health at every size, and began to integrate these non-diet approaches into my practice and personal life. After six years of practice as a dietitian, I launched my virtual and in-person private practice in 2014 as a place to focus on non-diet nutrition and wellness. I specialize in general health and wellness concerns, Intuitive Eating, disordered eating/eating disorder recovery, PCOS/women’s health, and digestive disorders. I also provide mentoring to dietitians looking to establish their own nutrition private practice, or transitioning to non-diet approaches. Through compassion and creating a safe place for all bodies, I want help others redefine health and discover their own path to wellness and food peace. I have a Bernese Mountain Dog named Savannah and St. Bernard named Charleston who make frequent appearances on my insta-stories! If you work with me in Columbia, they occasionally like to visit the office. I love to travel! Some of my favorite places I’ve visited were Vietnam, Iceland, South Africa, and Turkey. I love to hear about my client’s favorite travel stories - it’s wanderlust for me! I grew up in Brooklyn, moved down to Atlanta, then back up to northern Virginia before heading to South Carolina for college at Clemson. Other than a brief stint in Atlanta when I was at Emory, I’ve been in South Carolina ever since! While I was initially hesitant to live in Columbia, the city has grown on me, and I love to take advantage of our gorgeous rivers, weekend markets, and yummy restaurants. Cheese is my absolute favorite food. I’m drawn to creamy, rinded cheeses like brie or camembert, and extra stinky blue cheeses. Rachael Hartley, RD, LD, is a Columbia, SC-based nutrition therapist, certified intuitive eating counselor and nationally-recognized food and nutrition expert. She holds a Bachelors of Science in Human Nutrition and a Bachelors of Art in Psychology from Clemson University. After completing her dietetics internship at Emory University, she worked as a clinical dietitian and, later, as the outpatient dietitian for a large medical center where she provided individual nutrition counseling and led multidisciplinary disease management programs. In 2014, Rachael opened her private practice, where she specializes in intuitive eating, disordered eating and eating disorders, women's health, and digestive disorders. She also runs the popular food and wellness blog The Joy of Eating. As a trusted voice in the dietetics field, she collaborates with like-minded brands for recipe development and nutrition communications. She is active in her field, currently serving as the president of her local dietetics association, and previously served as the newsletter editor for the Nutrition Entrepreneurs dietetic practice group. In 2018, she was named one of Self Magazine’s trustworthy dietitians for nutrition advice. Rachael has trained under dietitians Evelyn Tribole (co-author of Intuitive Eating) and Marci Evans. Kate Bennett earned her bachelor’s degree in Public Health from the University of South Carolina and a master’s degree in Human Nutrition from Winthrop University. She went on to complete her dietetic internship through Winthrop University. She currently works full time as a clinical dietitian in a hospital system, providing medical nutrition therapy to patients with a variety of health conditions, and works with Rachael Hartley Nutrition part time. She serves on the board for both local and state dietetic associations. Kate’s great joy comes each summer when she gets the opportunity to volunteer as a dietitian at a camp for children and teens with Type 1 Diabetes. Her personal nutrition philosophy is to be adventurous with food, trust her body to know what is needs, and to remember nutrition is just a small piece of the wellness puzzle. Fun fact: Kate has visited all 47 South Carolina State Parks, and her very favorite is Jones Gap State Park in Marietta, SC.